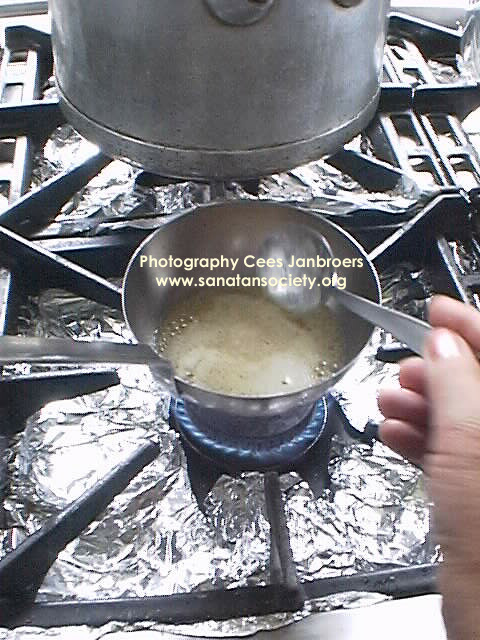 In a ladle or small frying pan, heat the ghee. Add the spices and sauté for a few minutes, until well-toasted and fragrant. 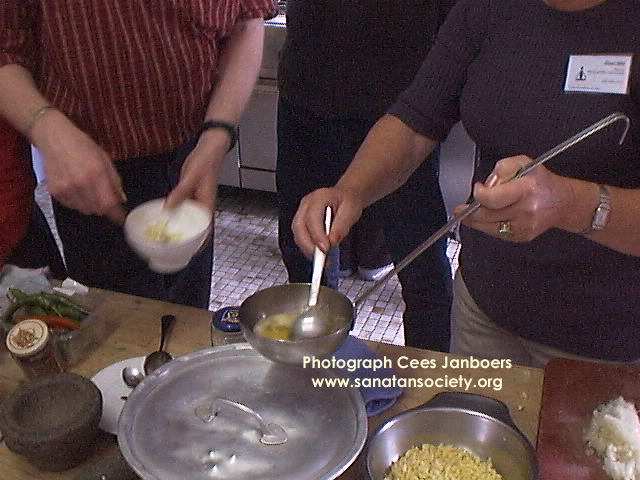 Add the tarka to the dal dish and cover immediately with a tight-fitting lid. Allow to stand for a few minutes while the flavors blend. A tarka, or spice-flavored ghee, is prepared and added to a dish just before serving. There are two popular types of tarkas: those made with garlic and dried red pepper, and those made with cumin, cardamom, and cloves. Both contain a pinch of asafoetida powder. With moong dal, the cumin seed tarka is usually used. A tarka is usually part of a basic raita. Raitas or Yogurt salads are an ideal summer food because yogurt is cooling and has a regenerating effect on the system. In winter, yogurt's cooling effect can be balanced with the help of warming spices, such as nutmeg, saffron, cinnamon, ginger or cloves.